Your child will learn and make new friends in this week long camp. He/she will participate in exciting and fun enriching science activities led by a team of dedicated instructors. Click HERE to view what your child typical day looks like. The first rule in any of our camps is having FUN. 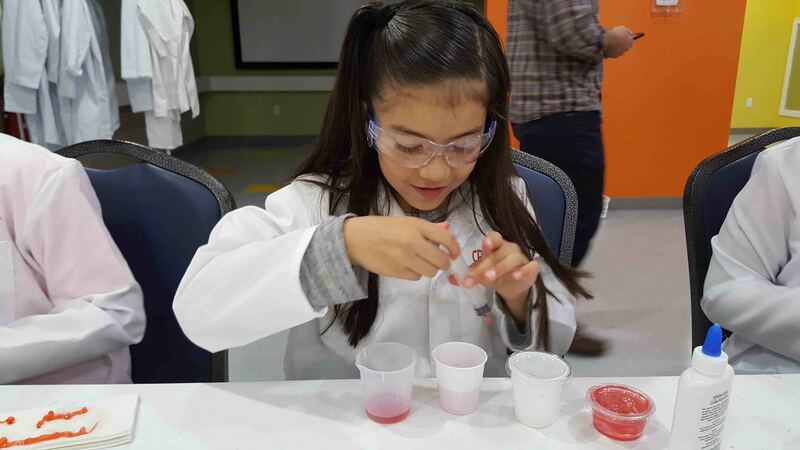 Our goal is to inspire the love of science through FUN and engaging activities. We start the day by an introduction to one of the vital organs in the human body. We examine the heart of the matter by learning about the basic concept of the human heart. We examine the functions, after which, children will draw a simple heart model. Heart related quizzes and games will be used during this first activity. We continue learning about how robots can help in our world by creating a robotic arm. In this project, we learn about engineering, and the importance of machine. We transform ourselves into engineers, and learn some aspects of construction. 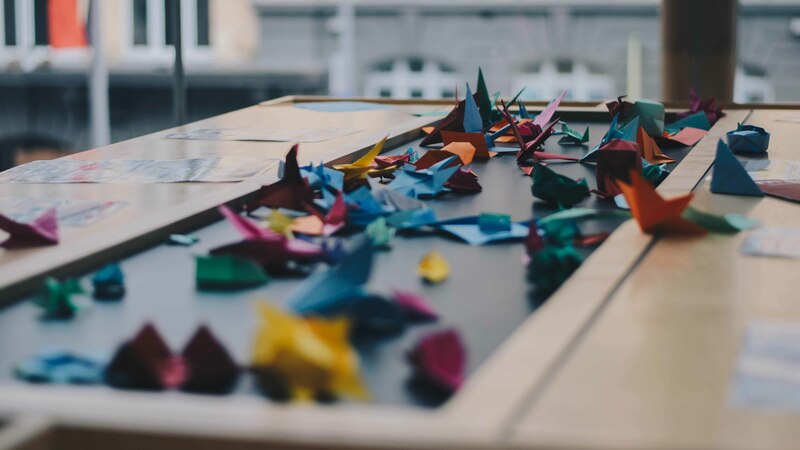 We demonstrate our skills by building a crane, a mover, and other simple machines that can help an individual live a better life. We start the day by learning about the five senses. We discuss how the brain works, and put our sense of reasoning to task using a simple game. Is one eye better than two? We explore and answer this question by putting our pirate science activities into action. We will construct a pirate eye patch to demonstrate. We continue with more pirate science by learning about floatation, density and buoyancy. We design a safe raft to would help people stranded on a deserted island to safety. 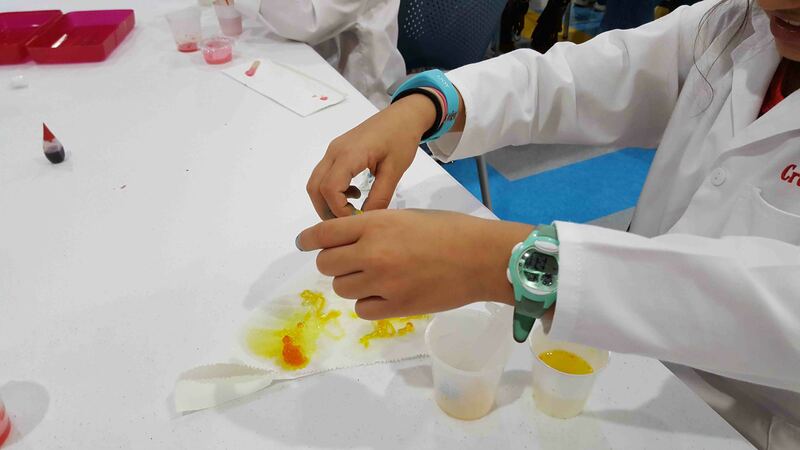 During this session, children will be learning about the role of DNA through a variety of hands-on activities. We will examine what makes individual unique. This session culminates in creating a simple model DNA. We will use the microscope to examine the DNA of some plants, seeds etc. Children will also take part in a learning workshop, where they learn about scientific facts! Day 4> Light it up! On this final day, we will start by assessing what we have learned so far using a FUN quiz. For this opening session, children will learn about the application of science in growing crops. We will learn about the ideal conditions to grow crops, soil types, different types of crops, biome, sun etc. We continue learning about light and electricity. We make miniature objects, and light them up, using the concepts we have learned. We also create miniature thermatropes to reinforce the concept of light. We start by talking about where we get our food. We look at different types of plants and animals on the farm. We examine the role of farmers, and how we raise livestock. We continue by learning about eggs (from chickens). What is the composition of the shell? What is in the yolk, is this nutritious? Our final activity for the morning session is Fun! Fun!! Fun!!! 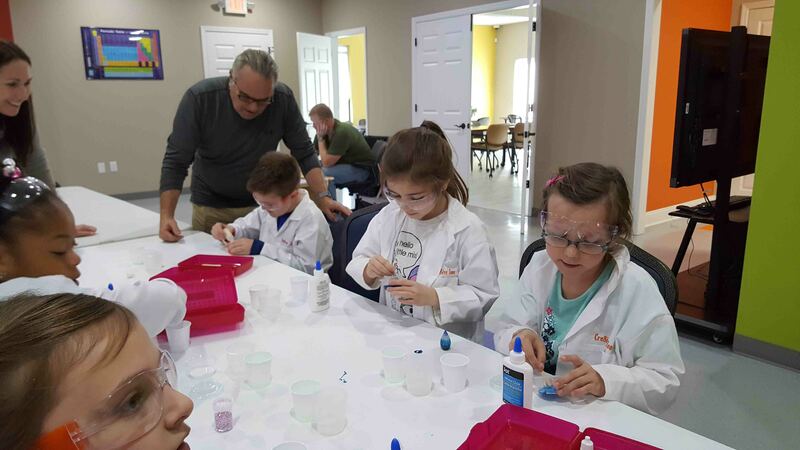 During this session, children will learn about polymers, colloids and how they are used in consumer products. We learn about the science behind these products, after which we make individual slime to take home.